How can I attach a CSV that contains form submission data to emails? To avoid confusion in the future and for us to better assist you, it's best to just post a new thread so our Support Team can focus on helping you out on your own thread. To answer your question, no, we don't have this feature and I'm afraid adding a 3rd option for CSV would be redundant. I understand what you need is a CSV attachment to your Email Notifications, then import them to your CRM. 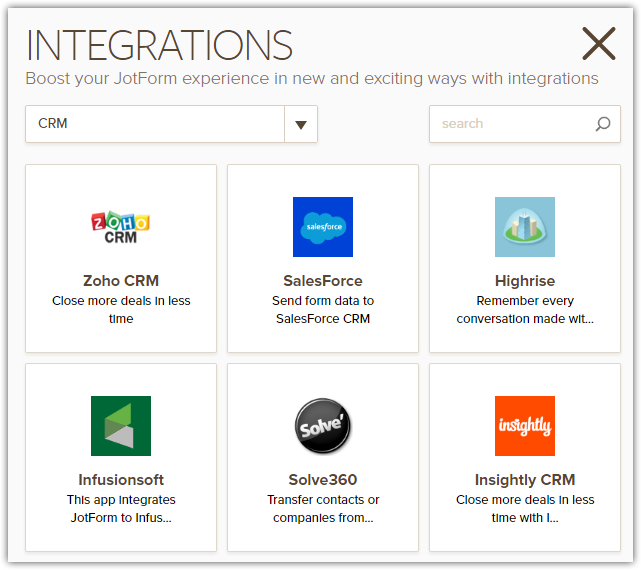 If by any chance the CRM you're using has an active integration with us, I would recommend you do the integration directly instead of using CSV > CRM approach. If your CRM is not listed above, give us the name of your CRM and perhaps we can find an alternative (if any).